Perfectly pitched to bring friends and family together over the festive period and beyond, Wordhunters challenges up to six players to take each other on in a series of challenging, brain teasing word games, using their phones to outsmart their opponents as they look to be crowned as the word champion. 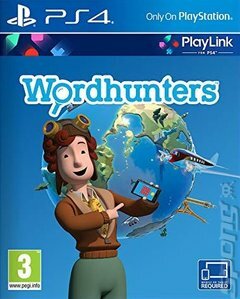 This world of competitive word games is hosted by Amy the Aviator - your enigmatic and quick-witted pilot as you travel the globe in a jetliner complete with your own selfies displayed in the plane s windows! During your journey, you ll fly to some of the world s most famous cities - from London and Paris to New York and Tokyo - complete with some of their most iconic landmarks, all while winning mini word games to piece together your own secret word ahead of your rivals. Spell out your four letter phrase ahead of your friends, and claim victory!